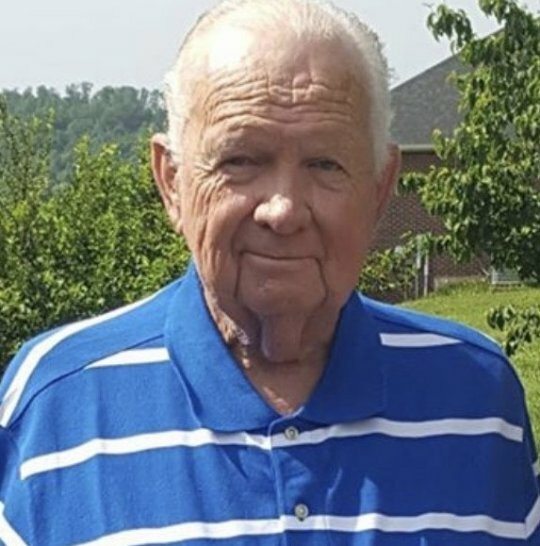 Henry “Hank” D. Blevins, age 80, of Somerset, Kentucky passed from this life on Tuesday, October 9, 2018 at Hospice of Lake Cumberland, Somerset, Kentucky. He was born Thursday, June 16, 1938 in Bath County, Kentucky, the son of the late Elias Blevins and Lillian Fawns Blevins. Hank enjoyed wood working, cars, computers and camping, also a member of the US Air Force, he was a member of the Community Harvest Church of God and was very active in his Church, he helped build three Churches and was always helping people when in need. He enjoyed spending time with his family. Hank will be greatly missed by all who knew and loved him. We know our loss is truly Heaven’s gain. He was preceded in death by his parents; one brother, Ralph Edward Blevins, three sisters, Mary Bell Hutchison, Delena Letcher and Kay Stone. He is survived by his wife, Anna Louise Blevins, two sons, Jeffrey Dale Blevins, of Nicholasville, Kentucky and Bruce Elliott (Karen) Blevins of Somerset, Kentucky, two daughters, Julie Ann (Charlie) Denniston of Mt. Sterling, Kentucky and Denise Renee (Tony) Ruckel of Waynesburg, Kentucky. One sister, Donna (Jimmy) Shields of Owensville, Kentucky, fourteen grandchildren, seventeen great-grandchildren, one great-great grandchild and numerous nieces, nephews and cousins. Visitation will be Friday, October 12, 2018 at 11:00 a.m. in the Chapel of Southern Oaks Funeral Home. Funeral Services will be Friday, October 12, 2018 at 1:00 p.m. in the Chapel of Southern Oaks Funeral Home with Bro. Larry Perkins and Bro. Bruce Blevins officiating, full Military Honors by American Legion Post 38 Honor Guard. Southern Oaks Funeral Home is entrusted with the arrangements for Henry Blevins.